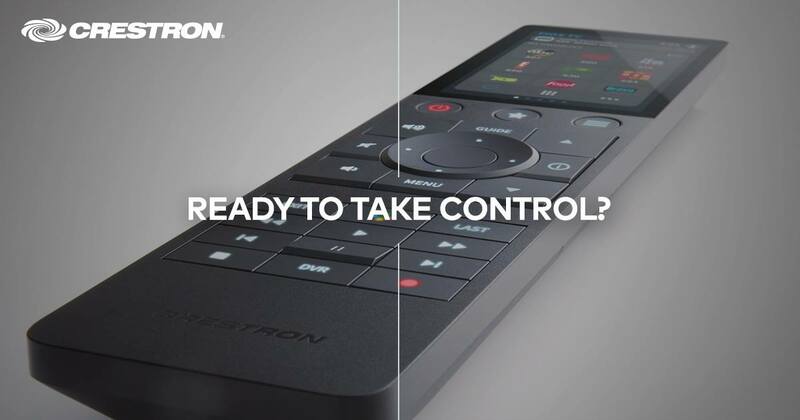 Crestron is introducing two new remote controls in early 2018, the all-new 310 Handheld Remote Series. They outdid themselves with their reinvented remotes by adding more control and advanced features, topped with an easy-grip ruggedized housing to provide excellent one-handed use comfort for hours. The idea behind the new models was to adapt to the many changes that have appeared over the past years. The two new remotes incorporate new technology enabling the batteries to last MUCH longer. Crestron describes their new line as a beautiful, ergonomic design with incredible button feel that is customizable for your world. Crestron designed the HR-310 for home theater or boardroom use. The reliable infiNET EX wireless technology ensures reliable performance at home or at work. The remote runs on three AAA batteries that can last up to six months in normal use. This longevity is made possible by a backlight that operates on an accelerometer, turning it off when there is enough light and consequently saving energy. The nine pre-labeled buttons at the top can also be personalized with laser-etched and custom engraved caps to enable additional ease of use. The TSR-310 3" touchscreen remote features an improved display with sharper display graphics. The elegant design is more compact and lighter, making it more pleasant to use. Its rechargeable battery can last up to four days between charges and the elegant charging base takes up less space than ever. The touchscreen remote instantly connects to provide immediate control of your system. Contact our stores for release dates and pricing.